Struck by a sense of duty to defend his country after the September 11, 2001 attacks, Will Bardenwerper walked away from a comfortable job in Midtown Manhattan to join the military. Despite some unexpected downtime while waiting to start his initial training, and then more schooling to become an Airborne & Ranger qualified officer, Will was finally dropped into the “hornet’s nest,” as he describes it, near Ramadi, Iraq in 2006, at the height of the initial Iraqi insurgency. Having fulfilled his initial military commitment and surviving one of the most dangerous deployments in recent history, Will transitioned from the military to become a full-time author. His latest book, which came out this month, details Saddam Hussein’s last months alive and his daily interaction with his American guards. It’s called, “The Prisoner in His Palace” and it provides an interesting perspective on the emotional and psychological toll guarding Saddam, in secret no less, took on both the young and more mature US soldiers who were handed the task of caring for the former dictator before eventually escorting him to his execution. 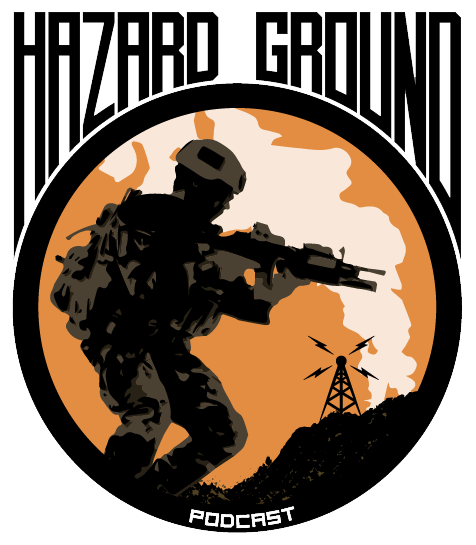 Listen to Will recount his time in combat along with his journey to write and publish “The Prisoner in His Palace” on this very special episode of Hazard Ground!